It’s that time again… the most wonderful time of the year! At Elgin & Hall we believe that the fireplace is the glowing heart of this magical season: a place to snuggle up with a loved one during the cold winter evenings, a place to relax after manic last minute shopping, a place to hang your stocking, a place to leave a carrot for Rudolph, and a place where two sooty, black boots will appear on Christmas Eve. No chimney? No problem, Elgin & Hall offer a range of stunning electric or gas complete fireplaces, which are the perfect solution for homes without a chimney. 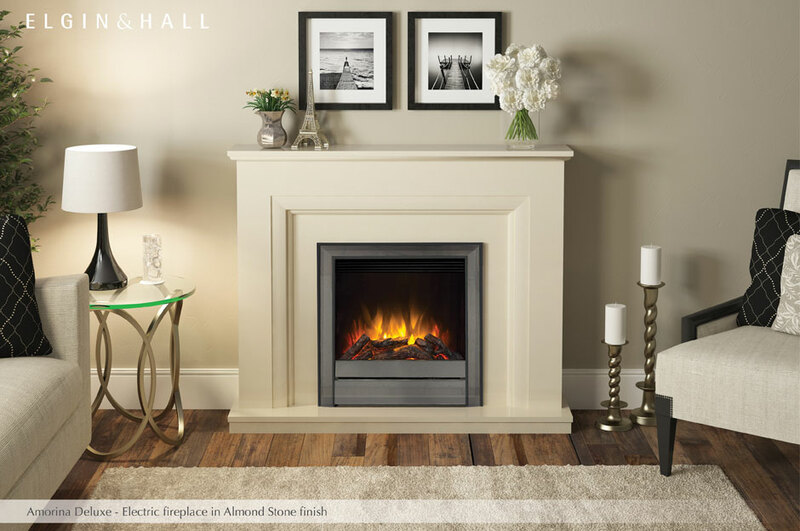 An Elgin & Hall electric fireplace offers ultimate convenience – they can be installed against any flat wall, in any room. Adding one of our stunning electric fireplaces to your home means that there is no need for disruption or messy building work. It can be fitted in half a day at the most, then it’s just a case of simply plugging it in….and let the magic begin. The 2kW performance provides instant heat when you arrive home, supplements central heating or allows you to heat just one room. 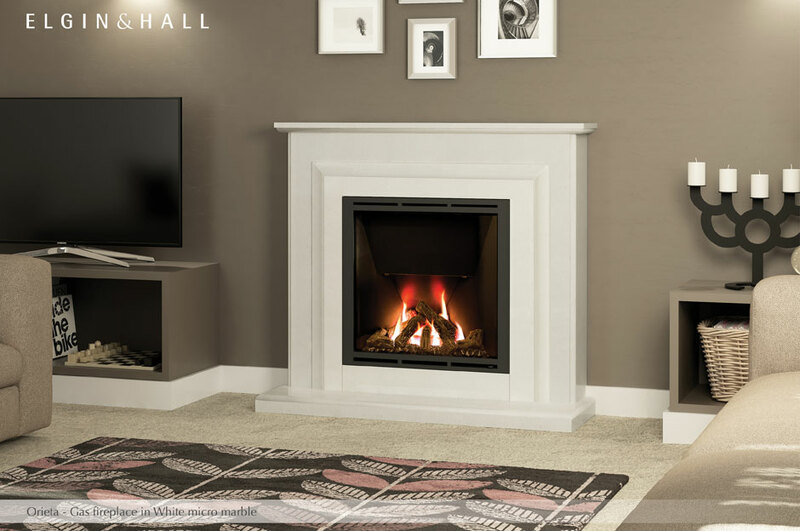 The Elgin & Hall Orieta complete gas fireplace pairs timeless marble with advanced gas technology. Fire and surround together compose a single, integrated unit, making it easy to install. The glass – fronted fire delights with large dancing flames, by completely filling the space framed by the surround – taller so the flames can climb further, broader so the log bed can stretch the glow. The surround has been set forward to accommodate more of the gas fire. This allows it to sit against a flat wall in front of a pre-cast flue opening with no building work, what so ever- ingenious! So, if a chimney is not essential for a fireplace, how can we ensure that Santa can deliver your presents? The chimney is Santa’s preferred method of gift delivery after all. No need to worry, we’ve got it covered. A magic key is the solution, giving Santa an alternative route when there is no chimney access. We are giving away 5 magic keys to help Santa on his way. Each key comes complete with a code so that you can create your own personalised message from the man in red. 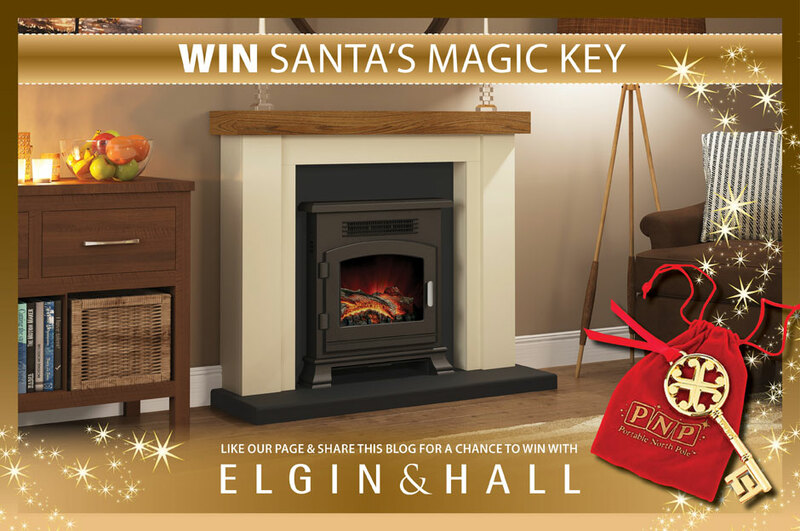 Convenience is key with Elgin & Hall, even when it comes to Santa.